It can be easy to get caught up in the moment when buying a boat. It is an exciting time and the anticipation can often cause you to overlook what appear to be small issues. For example, a few flakes of peeling paint might not seem like much. 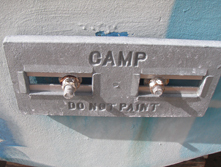 But in truth, it could also hide an underlying problem such as poor surface preparation, sure to lead to further paint failure and future expense. 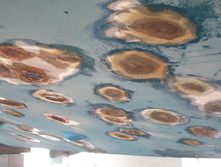 A discolored headliner in the cabin could be caused by a small leak due to a loose fastener on deck. 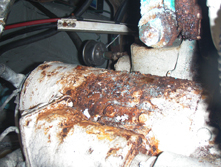 Over time, that leak could foster colonies of mold and mildew and ruin the boat's interior. 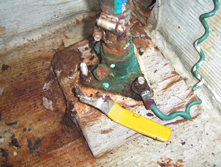 Mold on caulk around fittings can mean the bond is no longer secure, allowing water to weep past the base into the boat's interior possibly dripping onto electrical wiring. 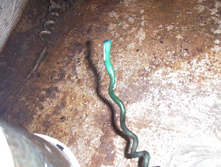 Bottom blisters are not uncommon on fiberglass boats regardless of the vessel's age. They are reparable but usually at a significant cost when done properly. A fast, sloppy repair to make the boat look better for sale could cost a lot more in the long run.